We are a Vegan/Vegetarian restaurant serving British and Italian contemporary cuisine . Our mission is to encourage more people to try and understand how tasty vegetarian and vegan dishes can be. The menu is a small plates concept, so you can try and share different flavours. Wonderful place, so relaxed, amazing food, great service. I would go every night if I could! The miso aubergine is amazing. Even if you’re not vegetarian or vegan you will love Stokey Veg Vegan. The food is delicous and creative. Turst the staff to surprise you with the daily specials. It was great Vegan fine dining experience.The food was great and presented excellently. The staff were very professional, friendly and knowledgeable on what was being offered on the menu. I would recommend this place without a doubt.5/5. We really enjoyed eating here. So many great food options, and interesting flavours. We'll be back to try and rest of the menu. The food was excellent. Effort was put into the presentation, but it was nothing over the top. Just right. The atmosphere was perfect - chill and peaceful -  and the server was great. Absolutely delicious. The burrata, miso aubergine and ravioli were really impressive. We managed to make room to this off with the poached plums - and I’m glad we did, highly recommended! Absolutely incredible food. This place is better than any Michelin starred restaurant that I have been to. Thank you so much for a wonderful evening and for looking after us so well. I had fairly strict dietary requirements and the team went out of their way to ensure I had a great variety of food. The tiramisu was also divine! Thank you! 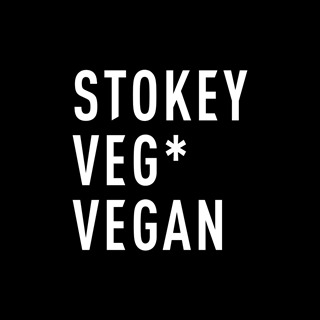 I went to Stokey Veg Vegan for my first anniversary with my partner, needless to say I really wanted it to be a great dining experience, and the place exceeded my hopes. The food is wonderful. Well presented, delicious, a menu that was so varied and unusual. Everything was delicious. In particular, the miso-glazed aubergine which was out of this world. What I liked even better was the service. I think the hart of good customer service is warmth, and that permeated everything. We were warmly greeted, chatted with, attentively taken care of. None of the staff seemed like they were 'on-shift'. When it comes to good service for me, after warmth comes knowledge. It is a bit off-putting at a restaurant when the staff can't answer basic questions about the food, but Stokey Veg Vegan really impressed me. Everyone we spoke to had a favourite dish, something to say about every item on the menu and could describe the food in objective and subjective terms, the wine too. It was clear that they loved their food and they were proud of what they do. Great dining experience. It didn't break the bank either. Only £110 for two of us. 6 tapas dishes, a desert, and a nice bottle of wine. For the standard of everything I was expecting a third as much again. I've only knocked a star off for atmosphere because there's only one toilet, and its the restaurant is a bit elbowy, but neither of those things can be helped as its a small place, but do not let that put you off gourmet vegan tapas cooked and served by people who clearly do it with pride, and rightly so. Well done SVV. Food was delicious and adventurous. Beautifully created and presented without pretention. Nothing comparable in the area for veggie/vegan food. Menu is a little confusing. Waiter explained it was like tapas so order several dishes. This was mainly true except for last couple of dishes towards end of menu which portion wise seemed more like main dishes, especially after the previous ones. Perhaps that’s not a complaint as it was generous portions. A little more clarity on this would make a fantastic restaurant even better. Great food and very interesting. The wine was amazing too. A little on the pricey side but still good value for money. Amazing food.... prepared to be intrigued. Great wines and service too! This was our first visit to the restaurant after hearing some very positive recommendations from friends. The staff, food, wine and everything in between exceeded our expectations in every possible way. I never knew aubergines could taste so good and the tiramisu amazing! Thank you so much, we can’t wait to return! Food was high quality and unique taste. There are not many top quality vegan restaurants in London and this is definitely one of them. 5 star service. A lovely neighbourhood gem serving delicious food. Would definitely recommend. Great food, friendly service and loved the atmosphere, can't wait to go back and try some more options from the menu. There need to be more restaurants like this and less fried chicken shops! Very attentive and friendly service. Really great food even if you’re not veg/vegan. Unusual but very tasty dishes. Delicious, truly imaginative food and passionate, friendly staff who really believe in what they're doing. A gem. I highly recommend it!